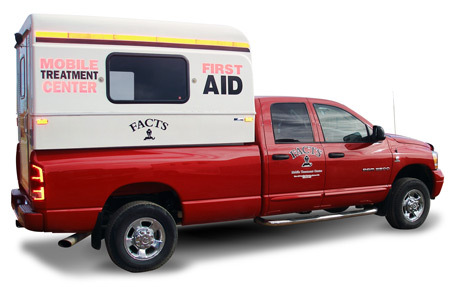 FACTS has a mobile treatment center available for contract work throughout the province. Our fully stocked MTC is available with or without an attendant. We also provide medics for hire.